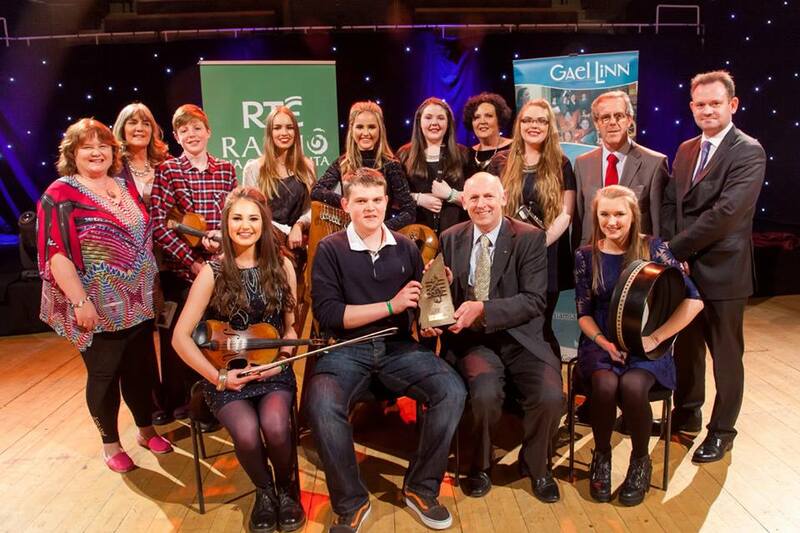 Glor Mhaigh Eo became the first Mayo winners of the 2015 Siansa Gael Linn Competition in The National Concert Hall. "Glór Mhaigh Eo" Coláiste Daibhéad, Castlebar, Co Mayo, winners of Siansa 2015 pictured at the presentation of their Gael Linn trophy and €2,500 cheque. The Group are Caoimhe Kilkenny, Ellen Murphy, Seamus, Marianna and Kathryn Tiernan, Maggie, Sal and Paddy Heneghan.